being little • bristol uk fashion & lifestyle blog. 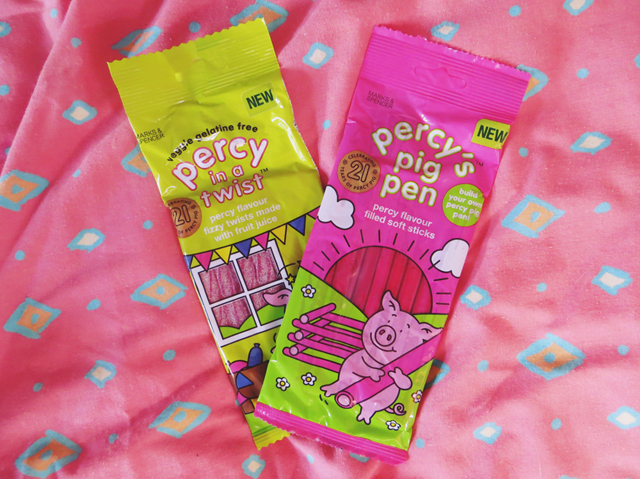 : percy pig turns 21! Who'd have thought Percy Pig was 21?! He certainly doesn't look (or taste?) his age! These delicious sweeties sure didn't last long after they arrived on my doorstep. They are SO moreish, and it was hard to share them! I am especially pleased about the vegetarian fizzy twists that they've brought out, so my gelatine-free buddies can enjoy these treats too. 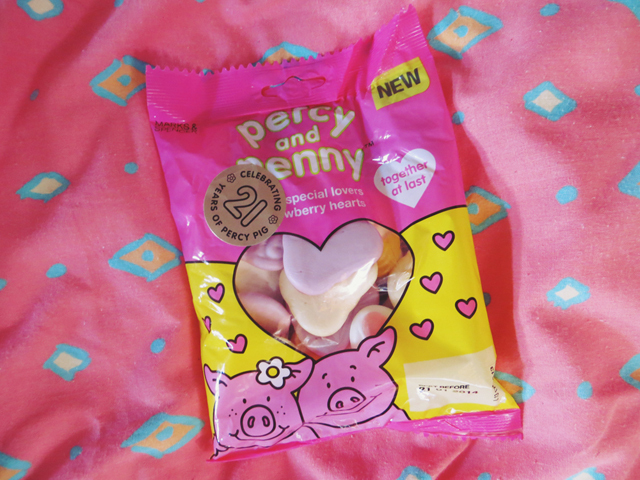 The Percy & Penny sweets are adorable as well, different coloured piggies and some strawberry hearts - perfect. 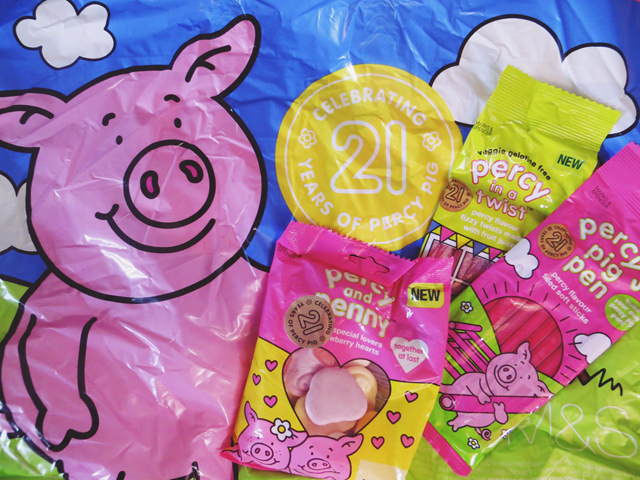 Get yourself down to Marks & Sparks for some chewy, sugary joy and help celebrate Percy's 21st birthday! I'm only 1 year older than Percy, crazy! I work in M&S and going down the sweet isle with these treats takes a lot of determination. Doesn't help when they have bowls of them in the staff room either. Terrible will power haha! Percy Pigs are my favourite sweets ever!! Percy Pigs are wonderfull! Cannot believe they're 21years though! Hey I love Percy pigs!!! Although have you tried the sainsburys version? Eric the elephant! And Eric's fizzy trunks! They taste identical and cheaper!! I love Percy Pigs :) I remember they were such a treat as a kid! YUM, Percy Pigs have got to be my all time favourite sweet! Long live the Percy Pig! GOD i love percy pig sweets. they're just so nice! vanilla cupcakes with a hint of raspberry. coffee & whisky cupcakes with whisky glaze. vintage & antique shopping in ashburton. out there interiors angle poise lamp.